I will confess to being a little lazy when it comes to cooking brown rice. I don’t eat rice, brown or white, often enough to justify owning a rice cooker, I’d much rather save the counter space for other gadgets like a coffee grinder for my spices, a blender for my smoothies and soups and 2 different sizes of food processor (mini one for chutneys and mincing onions/garlic/ginger and a larger one for so many other things). I long for a bright red Kitchen Aid stand mixer…don’t so many of us? So when I do eat rice, it’s almost always white basmati, which is so quick and easy to make. Since starting work on the Cook to Jhoom book, I’ve become a lot more aware of eating more wholesome, nutritious food. When it comes to bread, chapatis, and pasta, I always eat the wholegrain variety and have done so for many years. Brown rice, however, is something I’ve only just come round to as I have always been put off, not only by the longer cooking time but also by the the terrible results I have had by following the directions on the packet. Mine always turned into a gloopy, mushy mess that went straight into the bin. After some research on the interweb and testing a few of the recipes I had bookmarked, I found an excellent one that worked perfectly when I made it twice this week. What exactly is brown rice? 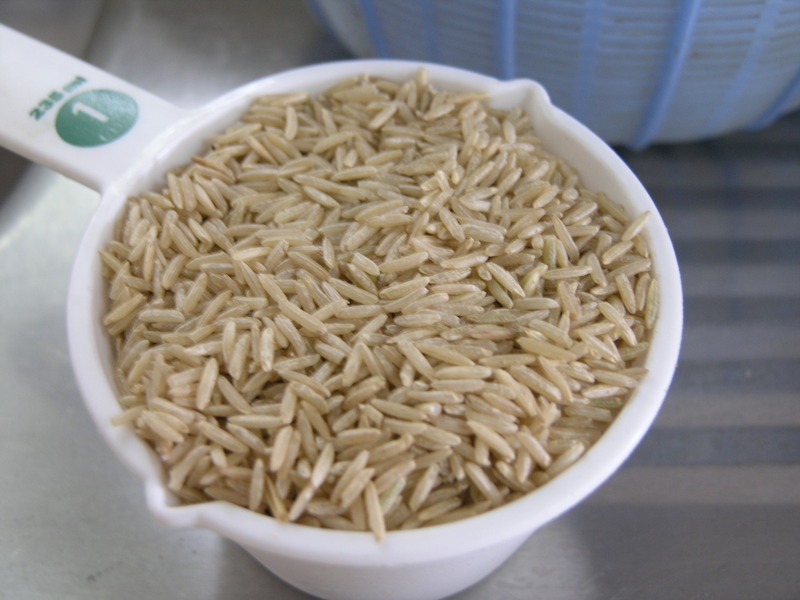 It is whole grain rice, with only the husk (the outer layer) removed in the milling process. The fibre and germ, where most of the nutrients lie, are intact. In the case of white rice, after the hull is removed, the bran and most of the germ are also removed, eliminating much of the fibre and nutrients and it is then polished to remove the remaining layer of germ (called the aleurone layer) where the essential oils are. 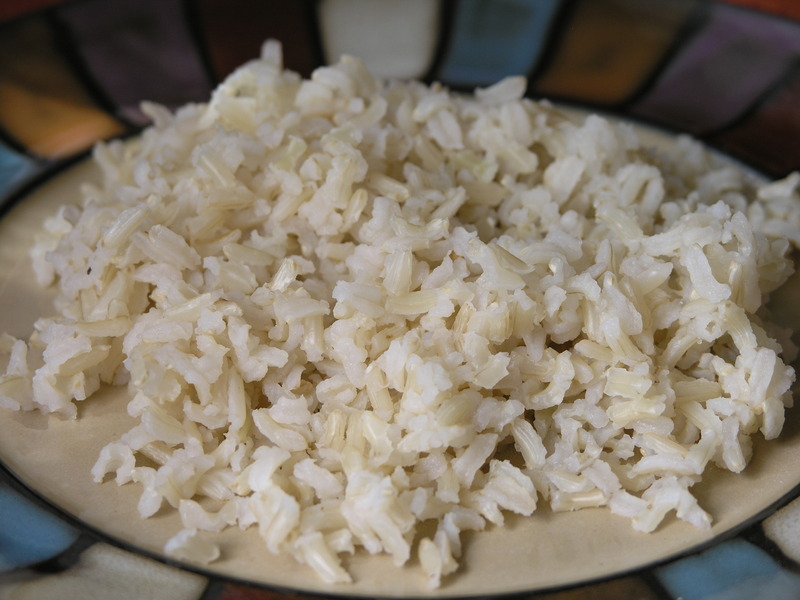 Brown rice has considerably more manganese, phosphorus of white, iron, and Vitamin B3, B1 and B6 than white rice. Something to remember with brown rice is that, because it contains essential oils, it goes rancid after 6 months. Store it in the refrigerator if you want to double the shelf life. If you eat it often enough, however, you won’t have to worry about that! Find the original recipe here, a wonderful website called pinchmysalt.com. This is the stove top method and it didn’t take that long at all (about 45 minutes, certainly not long enough to put me off making it). You just let it cook while you make one of the main dishes from my book to go with it. If you have any brown rice left over, it freezes really well. This is how I made it, in pictures. Scroll down for the text-only version. 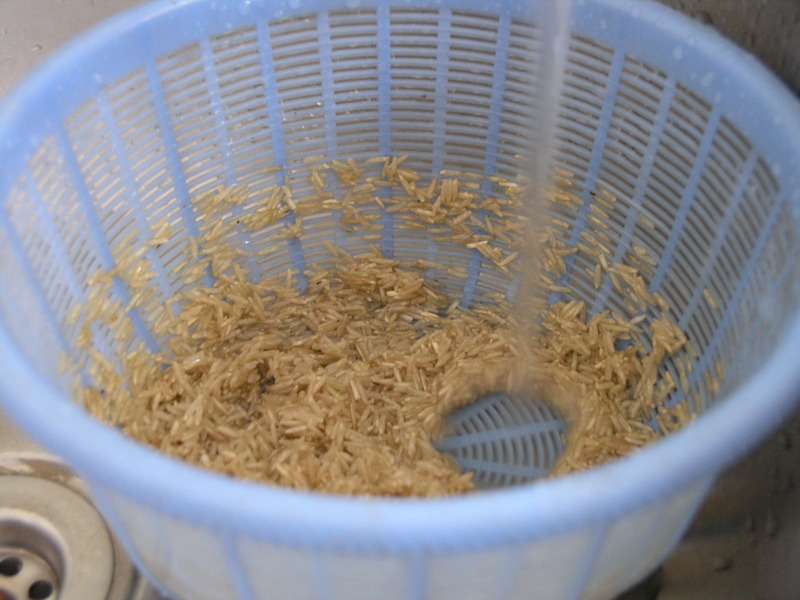 Wash rice under cold running water for 30 seconds. 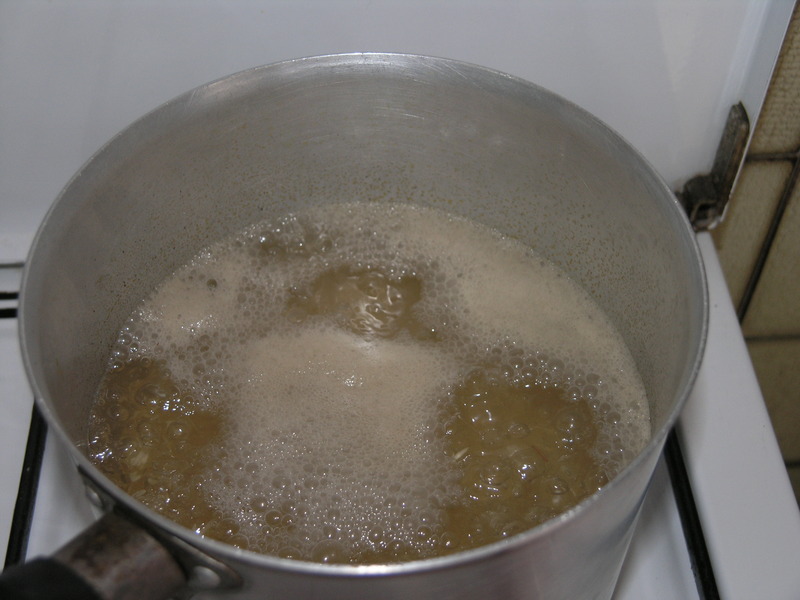 Stir in the rice, let it all come to a boil and then immediately reduce the heat to a low-medium. Let it cook, uncovered, on low-medium heat for 30 minutes. After 30 minutes, drain the rice over the sink for about 10 seconds. 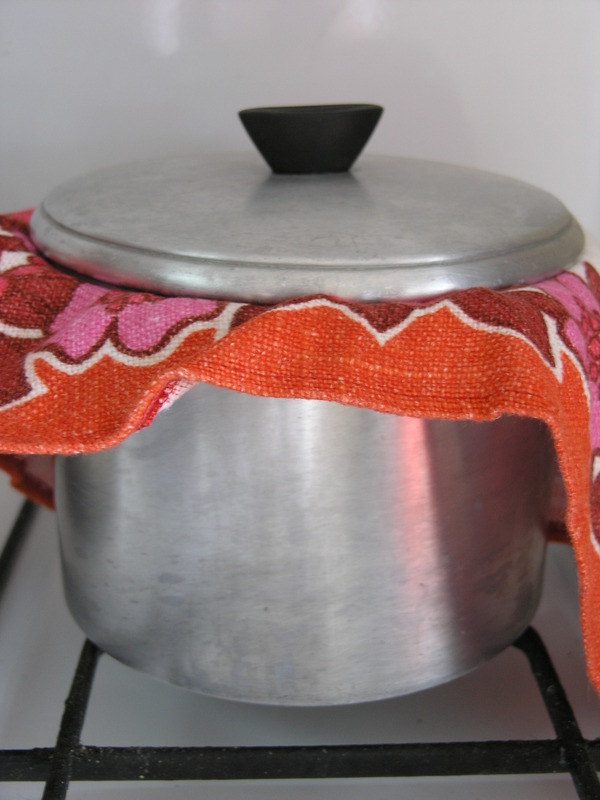 With the heat off, put the rice back in the pot, cover tightly and let it steam for at least 10 minutes. Uncover the pot, add some salt and fluff up the rice with a fork. Et voila, light, fluffy brown rice. I’m going to have mine with Kadhi tonight! For 4 people, measure out 1 cup of brown rice and 4 cups of water. I used brown Basmati. Rinse the rice in a colander under cold running water for 30 seconds or so. 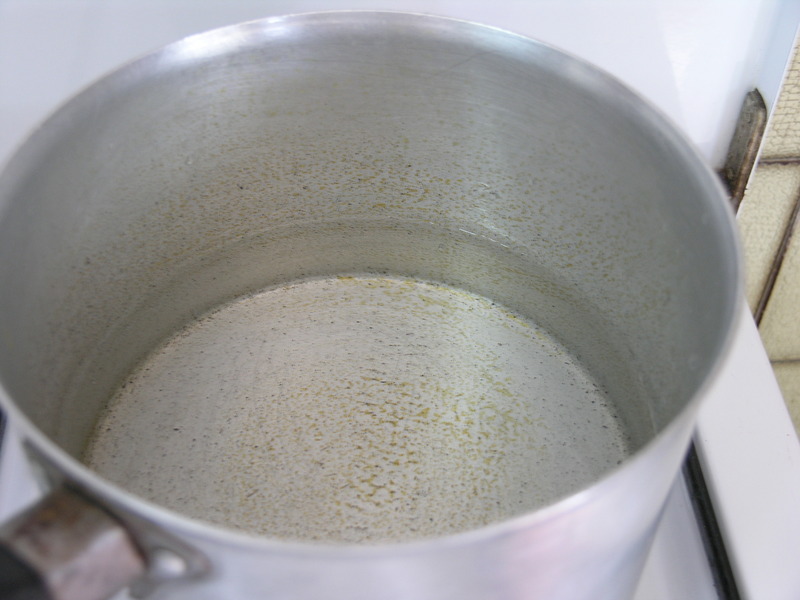 Bring the 4 cups of water to a boil over high heat. 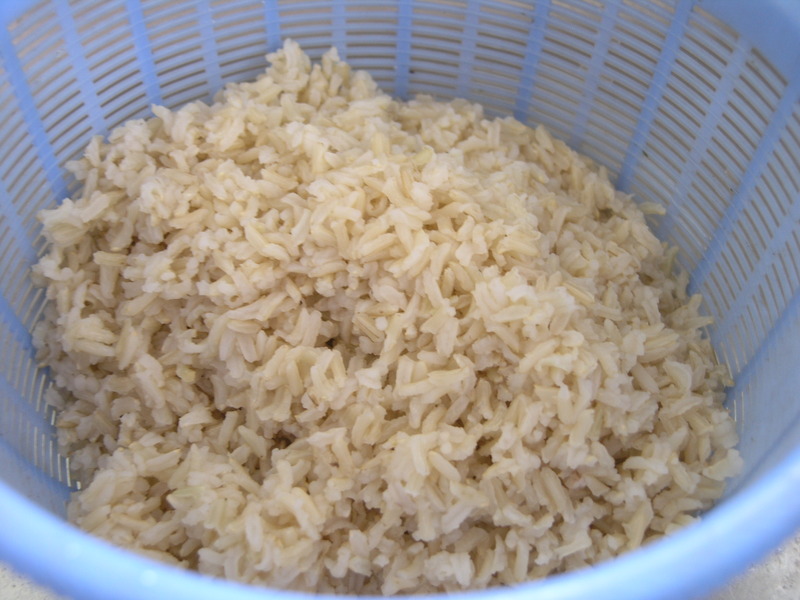 Stir in the rice, let it come to a boil and then immediately reduce the heat to low-medium. After 30 mins, strain the rice in a colander over a sink for about 10 seconds. Put the rice back in the pot, with the heat off. 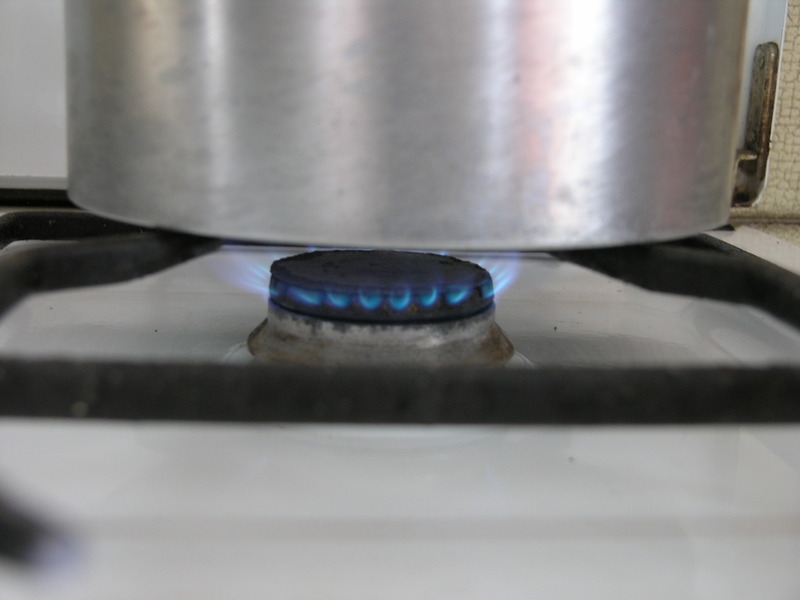 Cover the pot with a tight fitting lid. Mine was a rather loose one, so I used a tea towel to help create a tight fit. Leave the rice to steam for at least 10 minutes, a little longer if you can. Uncover the pot, add salt to taste and fluff up the rice. You should have light and fluffy brown rice with just a little crunch and a deeper, more satisfying flavour than white rice, not to mention much better nutritional value! Per serving: Calories 171, Protein 4g, Carbohydrate 36g, Sugars 0g, Fat 1g, Saturates 0g, Fibre 2g. This is off to Ricki’s fabulous Wellness Weekend June 7th-11th. Draining out water? Will it not be draining the out nutrients?! I find that there is very little water left indeed when cooking brown rice this way, maybe a tablespoon or two. Almost all of it is absorbed.